This section is about the tradition and history of botanical art and illustration around the world. and links to relevant websites and books. You can also see images of Permanent collections in Museums and Art Galleries in the Exhibitions section. "In Development" - means a page has been started and is currently in draft and I hope to publish soon. However I collect material slowly over time and only develop the full page when I've got enough. Elizabeth Blackwell (1707 - 1758) - the first British woman to produce a herbal and the first woman to engrave as well as draw plants. 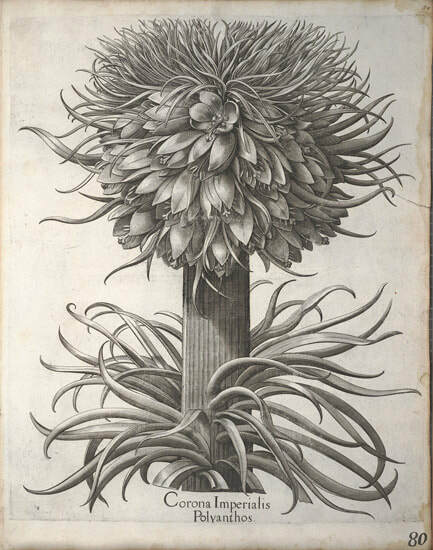 Georg Dionysius Ehret (1708-1770) - developed the Linnaean style of botanical illustration. Mary Delany (1700-1788) who created botanical collages known as "paper-mosaicks"
This is the catalogue of the first ever exhibition in the Shirley Sherwood Gallery of Botanical Art at Kew Gardens. ​As you can imagine the organisers put in extra effort to make this a superb exhibition. One of the interesting things about the exhibition and the book is that the images are largely organised according to themes. This means we can see historical and contemporary images presented side by side. It also provides information about the individual artists. Albert Robert Valentien (1862–1925) who documented 1,200 watercolor "plant portraits" of native California wildflowers, grasses, ferns, and trees. Lilian Snelling (1879–1972) "probably the most important British botanical artist of the first half of the 20th century"
The Rev. William Keble Martin (1877-1969) a Church of England priest, botanist and botanical illustrator who produced the Concise British Flora in Colour.